Man, I remember the days when booting up a console without media inside did absolutely nothing. Some machines gave you a basic boot screen, but stopped there. You could blow into the jack all you wanted, but no game meant no experience…at all. Nowadays? You can probably buy a console and never buy a game and still use it as a media center well worth your money spent. Sony is looking to enhance that experience with their new Video Unlimited user interface. They sent a press release around in order to show off a few of the features, announce the specifications and deliver the video you see above. 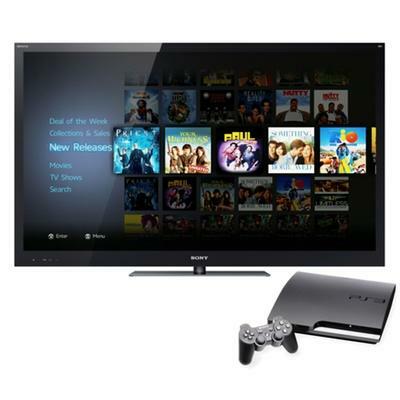 Essentially, PlayStation Network users can experience a brand new way to find, engage with and play streaming video content on the PS3. This application doesn't necessarily add any new movies or shows, it just simplifies the browsing experience. Users will be able to (seemingly) intuitively navigate through movies by associated terms, alphabetical search and a variety or sorting options. If you make use of the video service on the PlayStation 3, or if you're intrigued enough to still be here, you can give the application a preview download next month. On October 11th, standard PlayStation Network users will be able to snag Video Unlimited. If you're a PlayStation Plus member, however, you can download the application today. Video Unlimited is currently only available to PlayStation 3 owners in either the United States or Canada.